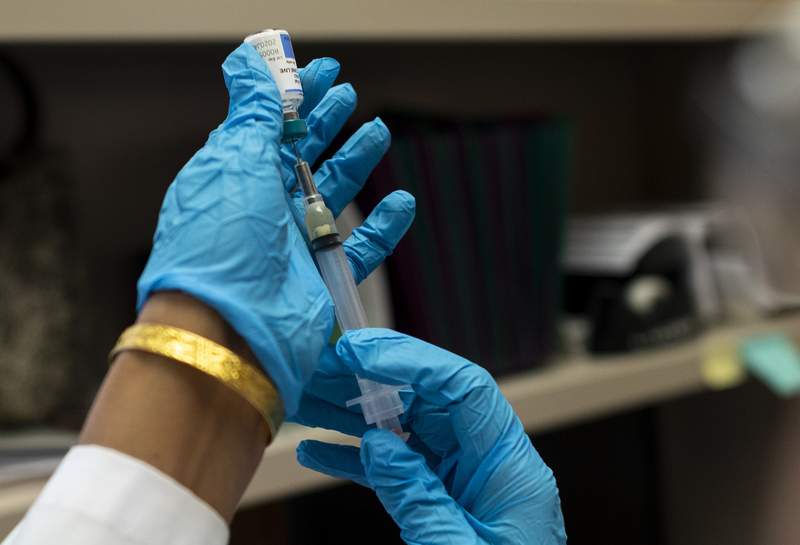 New York City officials declared a public health emergency on Tuesday after almost 300 cases of measles in the city, announcing fines of up to $1000 if people disobey the mandatory vaccination order. “This is the epicenter of a measles outbreak that is very, very troubling and must be dealt with immediately,” said Mayor Bill de Blasio, during a press conference in Williamsburg where the outbreak is occurring in Orthodox Jewish communities. De Blasio decried anti-vaxxer misinformation campaigns targeting parents. And the health commissioner warned parents were having “measles parties” to infect their children with measles and to naturally immunize them — and avoid the vaccination. The order says that anyone who lives, works, or studies in and around Williamsburg, Brooklyn — zip codes 11205, 11206, 11221 and 11249 — must be vaccinated for measles or have proof of immunity, meaning they’ve had measles before and developed antibodies. If not, they could face fines of up to $1000. The city saw only two cases of measles in 2017. In 2018, that jumped to 56, with an outbreak beginning in October. So far in 2019, there’s been 229 people sick. Authorities are asking parents covered by the order to vaccinate babies from six months of age. Traditionally babies are not given the measles vaccination until 12 months of age. That means babies given the vaccine at six months will have to be revaccinated at 12 months as they could still have had many maternal antibodies which would affect the vaccine’s effectiveness, said Hotez. Nearly 250 people affected in the Brooklyn measles outbreak are children, most of whom had been unvaccinated or incompletely vaccinated — after an initial vaccine, a booster is needed a few years later. So far, there has been 21 people hospitalized and five admitted to intensive care. NYC Health Commissioner Dr. Oxiris Barbot warned against parents having “measles parties” to infect their children with the disease as a way to build antibodies. “That’s no party,” said Paul Offit, professor of pediatrics and director of the Vaccine Education Center at the Children’s Hospital of Philadelphia. He pointed out that before vaccines were available, measles killed five times more people than chicken pox, and that he knew one woman who’d taken her child to a chicken pox party years ago whose child died. “Measles make you sick, why would you let someone suffer that knowing theres a potential you could die?” he asked. Currently the outbreak has been concentrated in Orthodox Jewish communities. New York City’s deputy mayor for Health and Human Services, Herminia Palacio, said they’d seen an increase in measles cases after the recent Jewish holiday of Purim, and that with Passover coming, with people traveling and gathering together for the holiday, the need for the emergency order was clear. “This is predatory behavior on behalf of the anti-vaccine lobby,” Hotez said. So far no one has died in this latest outbreak, but with the numbers on the increase despite easily available vaccinations, medical experts say it’s only a matter of time.